The proposed reform would shift Turkey's government from a parliamentary system to a presidential one. The president of Turkey is on his way to obtaining more power, but critics allege it could threaten the country's democracy. 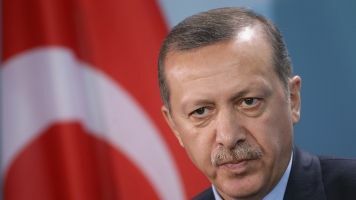 President Recep Tayyip Erdoğan has championed a constitutional reform to shift Turkey's government from a parliamentary system to a presidential one. The Turkish Parliament's constitutional commission just approved the proposal. If enacted, the reform would nix the prime minister spot and designate all executive power to the president. As it stands, Turkey's presidential office is largely ceremonial, but since Erdogan took office in 2014, he's used his popularity to shift more power his way. And after a failed coup attempt in July, Erdogan used a three-month state of emergency, which limited the constitutional freedoms of Turkish citizens. Turkey's constitution allows him to do that in the aftermath of an event "aimed at the destruction of the free democratic order." But critics called it a power move aimed at limiting the rights of dissenters, not just those involved in the coup. The reform proposal is just the latest move by Erdogan's administration to expand presidential powers. One law expert said the new proposed system shift doesn't seem to have mechanisms that keep the president in check. Parliament is expected to debate the bill in January. After that, it'll head to a referendum, which will likely happen in spring.